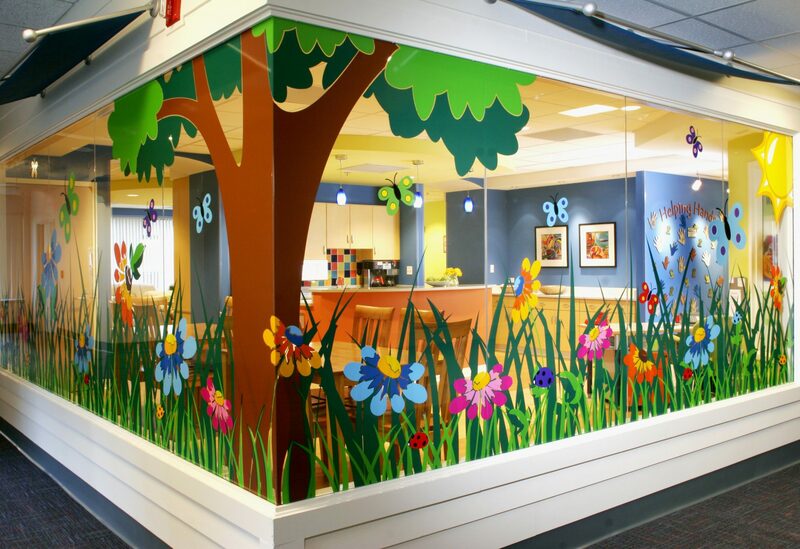 Providing the design for the Ronald McDonald Family Rooms in three of St. Louis’s hospitals allowed the designers to create spaces that offer families a place to rest and regroup at the hospital. Bright and full of life, colors and graphics help transport the family members to a place, that for the moment, they can hopefully forget they’re in a hospital and yet be just moments away from their sick child. Services designed into the Family Rooms include, kitchen areas, shower facilities, quiet and sleeping rooms, laundry facilities, tv lounge, work areas that include internet access, reference books and a place for visiting family to do homework or other personal things.